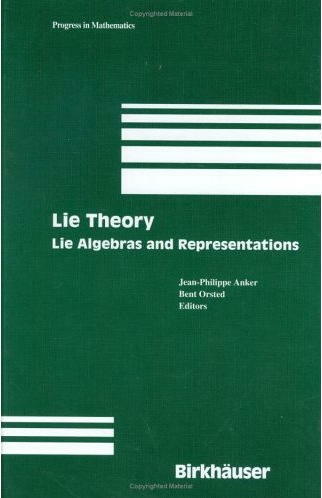 Lie theory, particularly, non-commutative harmonic analysis, unitary representation theory, integral geometry, and discontinuous groups. 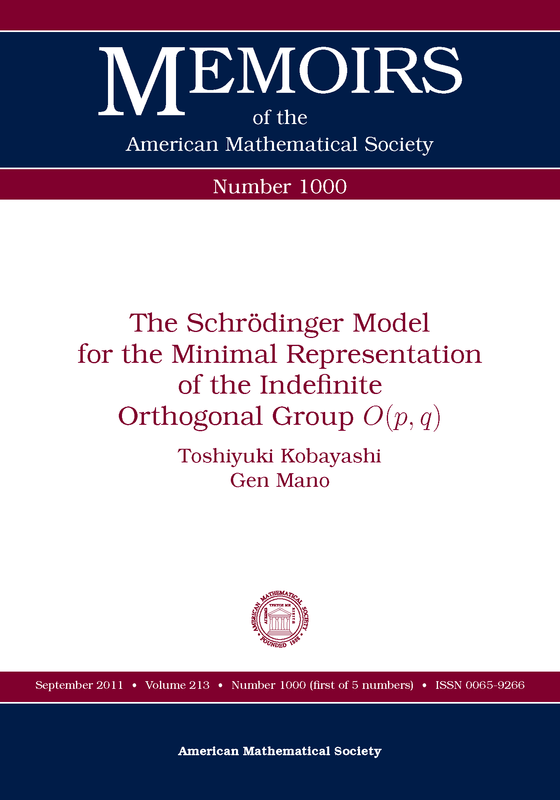 1 April 2019: Dr. Koichi Tojo has been hired as a technical staff member at Mathematical Science Team, Generic Technology Research Group, Center for Advanced Intelligence Project (AIP), RIKEN. 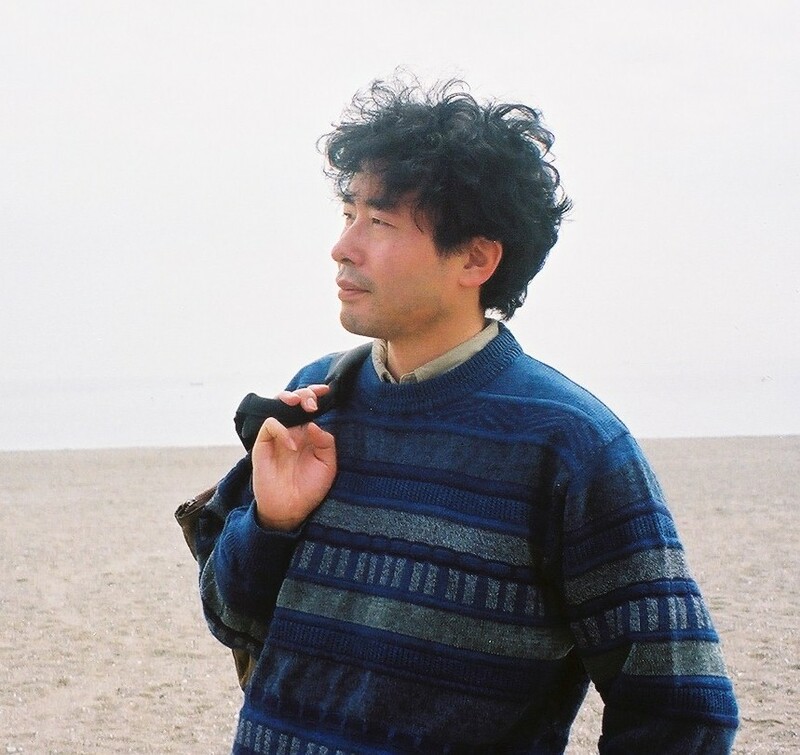 8 February 2019: Dr. Masatoshi Kitagawa (assistant professor at the Department of Mathematics, Nara Women's University) has been appointed as a lecturer at the Faculty of Education and Integrated Arts and Sciences, Waseda University, commencing on 1st April 2019. 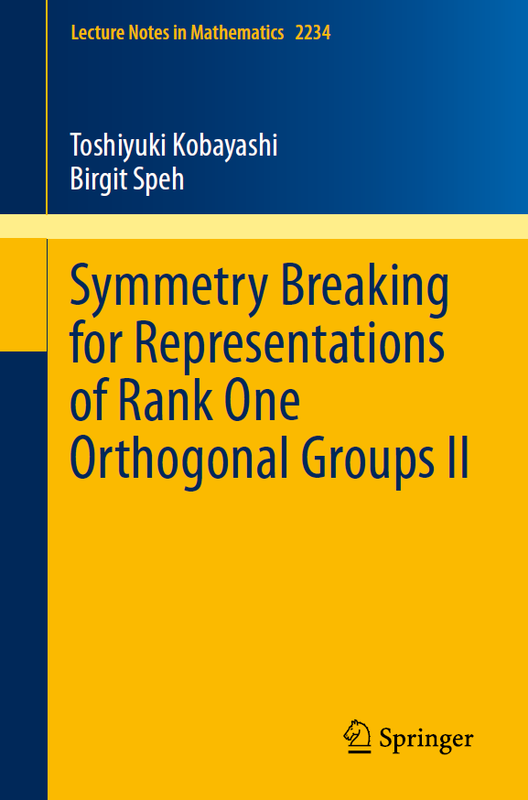 11 January 2019: The 23rd Takagi Lectures are to be held at RIMS, Kyoto University on 8 June 2019. 9 January 2019: Dr Jan Frahm (Erlangen University) will move to Aarhus University in August 2019. December 2018: Dr. Toshihisa Kubo is to be promoted to associated professor at Ryukoku University on 1st April. 12 October 2018: Mr. Takashi Satomi (M2) has been appointed as a JSPS Research Fellow (DC1) of the academic year 2019. 1 September 2018: Dr. Michael Pevzner has been selected as Professor Exceptionale. August 2018: Dr. Fanny Kassel has been selected as an invited speaker at the ICM 2018 in Rio de Janeiro. June 2018: Dr. Masaaki Doi has been appointed as an associate professor at the Department of Biostatistics, Kyoto University School of Public Health. 22 March 2018: Mr. Kazuki Kannaka (M2) has been awarded the Graduate School of Mathematical Sciences Director's Prize of the academic year 2017. 28 December 2017: Mr. Kazuki Kannaka (M2) has been appointed as a JSPS Research Fellow (DC1) of the academic year 2018. 22 November 2017 Professor Noriyuki Abe (Hokkaido Univ.) will join us at the Graduate School of Mathematics, the University of Tokyo, as Associate Professor, commencing on 1st April. 14 September 2017: Dr. Takayuki Okuda (PD) has been promoted to lecturer at the Department of Mathematics, the Graduate School of Science, Hiroshima University. 2 September 2017: Dr. Ryosuke Nakahama has been appointed as a Project Postdoctoral Fellow at the Graduate School of Mathematical Sciences, the University of Tokyo, commencing 1 October 2017. 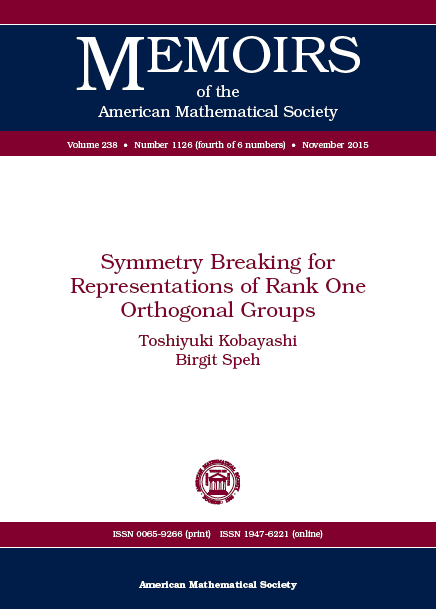 31 August 2017: Dr. Takayuki Okuda is to be awarded MSJ Takebe Katahiro Prise for his research on "Discontinuous groups and combinatorics of homogeneous spaces". 24 February 2017: Dr. Yoshiki Oshima (IPMU Fellow) has been appointed as an associate professor at the Graduate School of Information Science and Technology, Osaka University, commencing 1st April 2017. 24 February 2017: Mr. Yosuke Morita (D3) has been appointed as an assistant professor at the Department of Mathematics, Graduate School of Science, Kyoto University, commencing 1st April 2017. 14 October 2016: Mr. Hiroyoshi Tamori (M2) has been appointed as a JSPS Research Fellow (DC1) of the academic year 2017. 24 March 2016: Dr. Salma Nasrin has been appointed as a Professor of Mathematics at the University of Dhaka, commencing 21 March 2016. 7 March 2016: Dr. Yuichiro Tanaka (JSPS Research Fellow PD, Kyushu Univ.) has been appointed as an assistant professor at the University University of Tokyo, commencing 1 April, 2016. 20 February 2015: Dr. Fanny Kassel has been awarded the CNRS Bronze Medal 2015. 24 September 2014: Dr. Yukio Koriyama has been promoted to associate professor at l'École Polytechnique. 16 February 2013: I am staying at Tata Institute of Fundamental Research, Mumbai to give Panorama Lectures as a Mathematics Year Event celebrating the 125th birthday of Ramanujan. 18 March 2011: Professor Yves Benoist is to be awarded Clay Research Award. 31 December 2010: Dr. Atsumu Sasaki has been appointed as a tenured lecturer at Tokai University, commencing 1 April. 31 December 2010: Dr. Taro Yoshino has been appointed as an associate professor at the University of Tokyo, commencing 1 April. 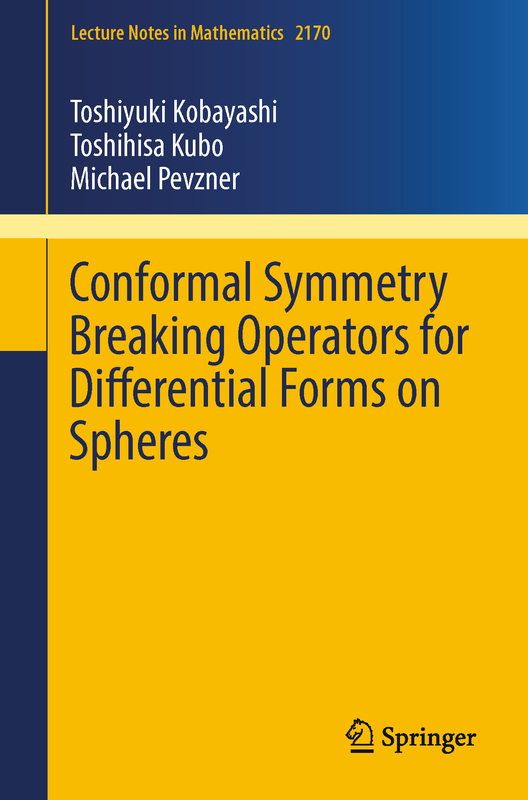 27-29 March 2019: Homomorphisms between Verma Modules and Symmetry Breaking Operators. 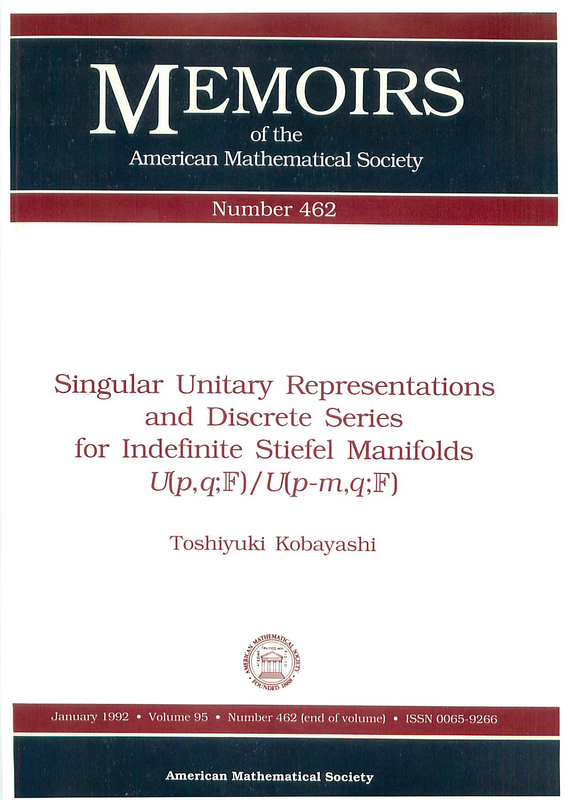 Representation Theory of Reductive Lie Groups and Algebras, Graduate School of Mathematical Sciences, the University of Tokyo. 26 May-1 June 2019: TBA. Conference to celebrate the 60th birthday of Yves Benoist, Cetraro, Italy. 17-23 June 2019: TBA. 13-th edition of the International Workshop: Lie Theory and Its Applications in Physics (LT-13), Varna, Bulgaria. 7-18 December 2020: TBA. 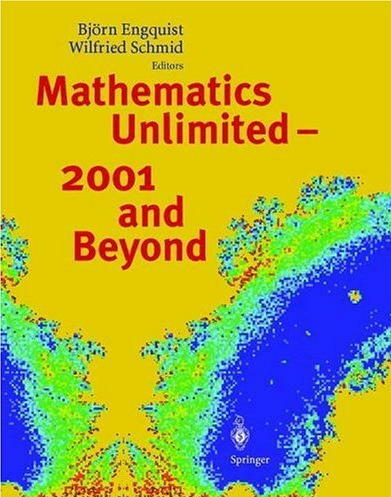 Representations and characters: revisiting some aspects of the works of Harish-Chandra and Weil, the Institute for Mathematical Sciences, National University of Singapore, Singapore. 8 June 2019: The 23rd Takagi Lectures, RIMS, Kyoto University. 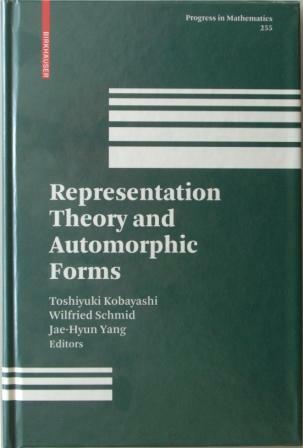 18-23 Oct 2020: Periods and Branching Problems for Representations of Real, p-adic and Adeline Groups, Institute for Advanced Study (IAS), Hangzhou, China. Professor Takaaki Nomura (Kyushu University, Osaka City University), 10-15 June 2019.